Good morning and happy Thanksgiving! As most of you are in your kitchens or running to the store for butter, I am on my way to work. I don’t say this because I want to complain. In fact I’d rather be at work than fussing over a turkey. I wish I could peer into your house now and see what is going on in your kitchen. I can only imagine that there is a lot of stress. Is the bird at the right temperature? Did I make enough gravy? Did I buy enough pumpkin pie? Most importantly, which wine should I pair with my food today? This is why I don’t mind working. Thanksgiving can be way too stressful. Most bloggers are trying to reduce the stress by giving you their perfect thanksgiving wine pairing. When I go into the restaurant today I will be doing the same thing for my guests. We are serving a prefix menu and I have paired each dish with the proper wine. No stress for the guest, just come in and order your food and drink your wine. Unfortunately, those of you at home do not have this luxury. Here is what I mean. At the restaurant I chose wines which pair with composed dishes. So the process is a lot easier. At home Thanksgiving dinner is usually a hodgepodge of turkey, stuffing, mashed potatoes, sweet potatoes, green jello, corn, green beans and your aunt’s secret port-cranberry sauce. Your plate is a mound of white and dark turkey meat with 5 different sauces 3 different starches and a vegetable goulash. So here you go, time to pair it with wine. Your favorite blogger says, “drink Gamay”. Another says, “drink Pinot Noir”. The real pioneering one says, “this year let’s get creative and drink Sparkling Shiraz”. Really guys?! By the time you take your first sip for the great Thanksgiving wine pairing, your palate is already saturated with flavors of sweetness, spiciness, oiliness, bitterness and dry Turkey. No wine will ever be a perfect pairing for the traditional Thanksgiving dinner. So, what do I recommend you ask? The answer is very simple, Thanksgiving is a time to give thanks for the things that we have. It is the time to share memories with family and friends. So get your b*** down to your cellar and pick your best wine and open it up. What are you waiting for? This is the time to share a special bottle with the people you love. No it is not going to pair with your food, nothing will. Stop stressing yourself out. Don’t worry if the turkey is dry. Who cares if the pie crust is burnt. If you open that special bottle it will make everything so much better. Stop letting it gather dust, this is that special day you’ve been waiting for. 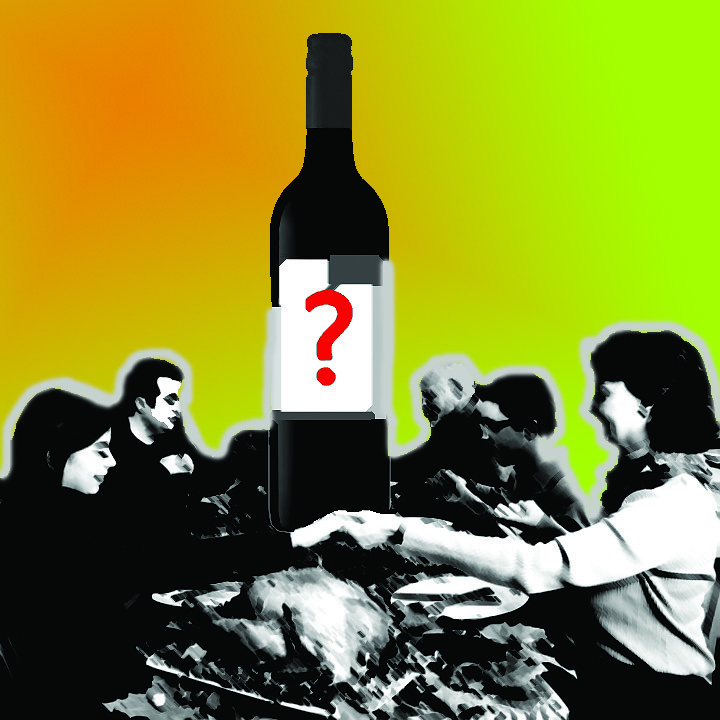 Remember a true Thanksgiving wine pairing is pairing wine with the people you love. HAPPY THANKSGIVING! WHAT ARE YOU DRINKING TODAY?